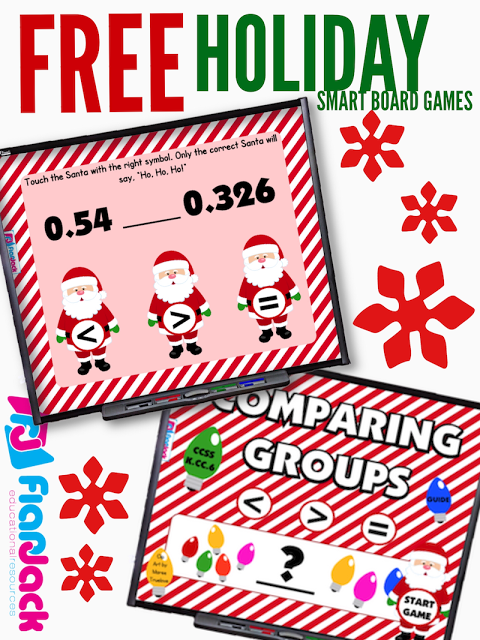 If you’re needing something quick and fun (and you have a Smart Board), I have two free Smart Board games. One is for comparing numbers on the kindergarten/1st grade level. 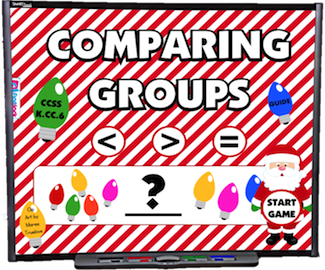 The other is for comparing decimals on the 4th-5th grade level. Both use a fun Santa self-checking feature that your students will get a kick out of. 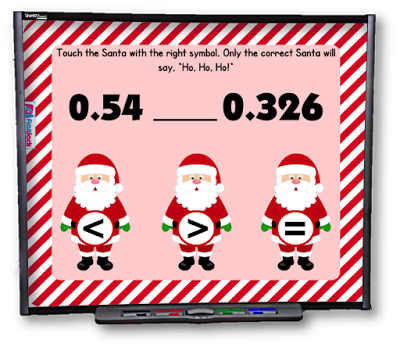 If you don’t have a Smart Board, but you do have an interactive whiteboard, you may be able to still open the games through the Smart Express site.